Advanced farming is termed as an information technology(IT) based farming management to examine, manage, and identify the inconsistency in the fields for projection, optimal profitability, and sustainability of the land resource. It provides benefits for both environment and economic sectors for instance reducing the use of fertilizers, pesticides, water, and herbicides by using the farm equipment. Some characteristics are value chain, robotics farming, M2M & IOT in agriculture and increase in livestock farming. Some of the major drivers are observing the plant &soil, saving time & cost in the production of crops, providing enhanced information for management decisions, and reducing the exploit of excess run-off water. According to study, “Advanced Farming Market Technologies (VRT, Remote Sensing, HPPS, IEC, Automated Steering Systems), Applications (Fleet Management, Horticulture, Aqua, Forest, and Livestock Farming), and Services Global Market Drivers, Opportunities, Trends, and Forecasts, 2016-2022” some of the major companies that are currently working in the advanced farming market are Trimble Navigation, Raven Industries, AqJunction, Deere & Company, AGCO Corp., 8villages, AqDNA, Microsoft Corp., Aqribotix, Strider, Valmount Industries Inc., Cisco Systems, AgJunction, BovControl, Smart Fertilizer Management, FTI Pty Ltd., Intel Corporation, IBM Corp., Yara, Thing Worx, Blue River Technology, Growing Smart. Based on the technologies, the market is segmented into High Precision Positioning Systems (HPPS), automated steering systems, remote sensing, Variable Rate Technology (VRT) and Integrated Electronic Communication (IEC). HPPS and VRT help the farmers to take up to date decisions for instance when, where and how to harvest the crop & increase the yield. 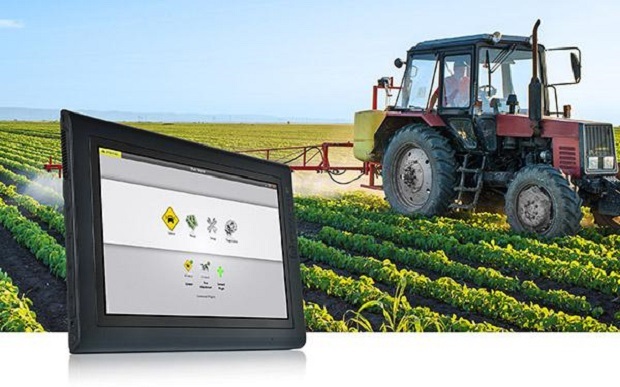 Most of these systems are interlinked by the farming management systems (FMS). Based on the application, the market is segmented into horticulture, forest farming, fleet management, aqua farming, livestock farming and others. Based on the services, the market is segmented into training & consulting services, integration services and maintenance services. Based on the deployment model, the market is segmented into cloud deployment model and local deployment model. The market of advanced farming is mainly driven by increasing need for environment friendly farming techniques, increasing support from United Nation’s (UN), convergence of modern technologies, rising demand for farm management software and growing food requirement. Apart from advantages, some of the restraints of the market include lack of IT literacy by farmers, lack of proper knowledge, high initial investment costs, changing climate conditions, insufficient internet connectivity and improper IT infrastructure. Moreover the connected farms use big data analytic solutions and drones & robots to increase the yield of the market. In future, it is predicted that the underdeveloped markets will adopt new technology techniques followed by the use of advanced farming techniques are expected to create a huge impact on the farming economy by bridging the gap between small & large-scale businesses. This trend will not only prevail in the developed countries but will also be implemented in the developing countries to realize the immense importance of the advanced farming techniques. During 2016-2022 predict periods, the advanced farming market is anticipated to witness a CAGR of 13.44%. It is projected that this market will be growing fast on account of rising need for the water management systems.